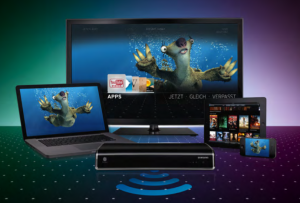 Liberty Global’s Horizon advanced TV platform has passed the one million subscribers mark this week after seeing strong fourth quarter growth in the German market in particular. Strong growth in advanced TV numbers – both its Horizon platform and Virgin Media’s TiVo service – helped lift Liberty Global’s full-year TV subscriber performance in 2014. Liberty reported 3.5 million advanced TV subscribers at the end of the year, with its year-end Horizon base lifted to 914,000 by a record take-up in Germany in the fourth quarter. Virgin Media meanwhile now has 2.5 million TiVo customers, adding 583,000 in the course of the year. Liberty Global president and CEO Mike Fries also said that the company would launch a trial of the DOCSIS 3.1 technology for ultra high-speed broadband services later this year. The company had 15.9 million digital TV subscribers at the end of the year, along with 7.6 million analogue customers. Overall, it lost 223,000 video customers in the course of the year, which it said was its best result in eight years. In the fourth quarter, video losses slowed to 35,000. Liberty Global’s overall revenue-generating unit base increased by 1.3 million in the course of the year, including 918,000 in western Europe, 223,000 in central and eastern Europe and 130,000 in Latin America. Broadband remains the key driver, with 905,000 additions including 242,000 in the fourth quarter. Germany and the UK led the way with 511,000 and 201,000 additions respectively, including 113,000 Virgin Media additions in the fourth quarter, boosted by strong take up of big bundles and low churn. Liberty Global’s Belgian operations added 129,000 RGUs in the course of 2014, boosted by its Whop and Whoppa triple-play bundles. The company said the Dutch market remained challenging, with 26,000 RGUs lost in 2014. Liberty said it had however increased its synergy target from its acquisition of Ziggo to €250 million by 2018. Liberty Global is also increasing its mobile base, adding over 500,000 postpaid mobile customers in the course of the year. Overall, the company posted revenue of US$18.2 billion for the year, up 3%, with operating income up 11% to US$2.2 billion. Horizon Go app and our MyPrime video-streaming service,” said Fries.